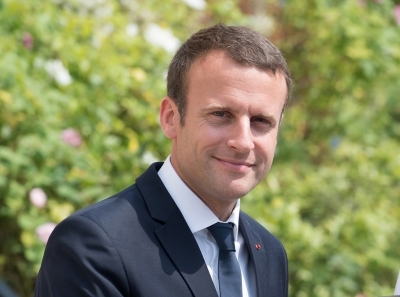 Paris, Nov 12 (IANS) With world leaders gathered, church bells rang and Bach's Sarabande played, French President Emmanuel Macron on Sunday held a solemn ceremony to mark the centenary of the Armistice of the First World War. Around 11 a.m. Macron and delegates from around 70 countries walked side by side towards the Arc de Triomphe to pay tribute to around 10 million soldiers killed during the 1914-1918 war, Xinhua reported. At Sunday's commemoration, young students, born decades after the World Word II, read out in English, Chinese and French etc. testimonies written by French, German, British and American soldiers when the guns fell silent on November 11, 1918. Culminating a week of World War I memorials, Macron also lighted a flame and laid a wreath to honour an unknown soldier who was killed in the war and whose remains are buried with others under the arch. Starting from July 28, 1914, and ended on November 11, 1918, the First World War is one of the bloodiest wars in history. Involving five European empires and dozens of world powers, it ended up with a Europe left in ruins and almost a generation of youth depleted.